For the School of Law brochure, press here. (v) Social engagement and public awareness. The School’s strategy is placed in the context of high priority fields for Cyprus and Europe, such as global peace, economic growth and employment, social policy, education, security and information systems, crisis management, compliance or sector-related policies, to the benefit of the public and private sector, higher education and research, professionals in law and related industries, and of young people, as a mean to address modern societal challenges. Rule of Law, Justice and History. Global strategy, Law and Security. The academics of the School of Law are all PhD holders and active researchers involved in the UK Research Exercise Framework and in nationally or internationally funded programmes. They publish their work in internationally recognised peer reviewed platforms. Hon. Dr. Demetris Hadjihambis, Former President of the Supreme Court of Cyprus and Honorary Fellow, School of Law, UCLan Cyprus. Dr. Hadjihambis specialises in Jurisprudence, Cyprus Public Law and mooting and legal debating. Hon. 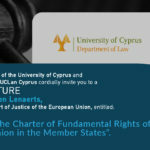 Mr. George Arestis, Former Judge at the Court of Justice of the European Union and Honorary Fellow, School of Law, UCLan Cyprus. Judge Arestis specialises in EU Law. Dr. Erato Kozakou-Marcoullis, Former Ambassador and Minister of Foreign Affairs of the Republic of Cyprus and Honorary Fellow, School of Law, UCLan Cyprus. Dr. Kozakou-Marcoullis specialises inter alia in the Cyprus Problem, Foreign Policy, Cultural Diplomacy, Gender Issuers, Human Rights, and Hydrocarbon discoveries in the Eastern Mediterranean. The School is currently involved in a number of national and international research projects such as SHERPA (Horizon 2020, SwafS 22, 2018-2022) and Jean Monnet Actions (Erasmus+, 2014-2017). For examples of successful research funding at the School, see https://www.uclancyprus.ac.cy/research/jean-monnet-module/ . For multiple examples of successful social, legal and professional engagement of the School, its academics, associates, its students, as well as the public at large please see here. The School also maintains strategic partnerships in the form of European and international mobility agreements for students and staff (Erasmus, Erasmus Mundus) as well as memoranda of understanding and collaborations with the industry, international organisations and NGOs. 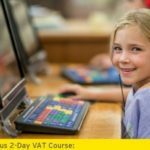 These include the Cyprus Arbitration and Mediation Centre (CAMC), the European Centre for Arbitration and Mediation (CEAM) and Softline Computer Ltd (legal case management software). The School of Law of UCLan Cyprus is very pleased to announce the establishment of and cooperation with ICLAIM since February 2017. ICLAIM has a Vision of Law, Innovation and Alternative solutions in the modern world, underpinned by high quality research and impact. A world where citizens, small businesses and the industry engage with our applied research and creative legal solutions, widening access to rights and impacting society. 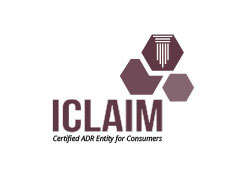 ICLAIM has a Mission of acting as a social enterprise transmitting knowledge and enabling the wider public to have access to their rights through innovative and alternative legal solutions at a fair cost. We are pioneering new solutions with wider impact on the creation, implementation, enforcement and reform of rights in a modern society. To create, promote and raise awareness of innovative and alternative legal solutions, including dispute resolution methods, widening access to rights. To support legal research and impact beyond academia, making a notable difference in society. To develop ways of sharing experience, knowledge and expertise with citizens, small business and the industry, designing creative legal solutions taylor-made to their needs. To work with low and middle-income organisations and young people to learn from and build capacity for research and impact informed legal solutions. To empower ICLAIM users to find their own solutions to socio-legal challenges. You can visit our offices at the UCLan Cyprus campus and our website http://iclaimcentre.org/. ICLAIM’s phone number is 24694096.